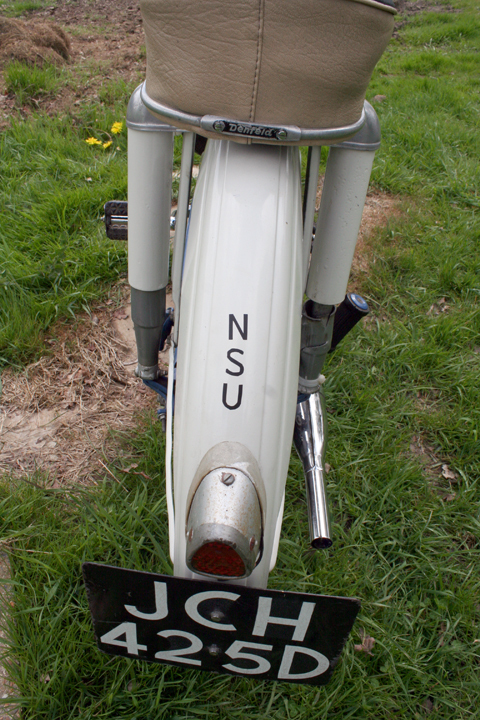 If you like sixties fashion, this 3-Speed NSU Quickly is a superb practical accessory. 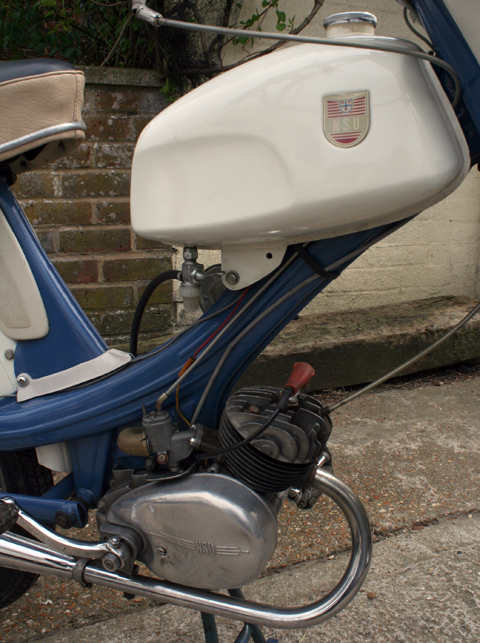 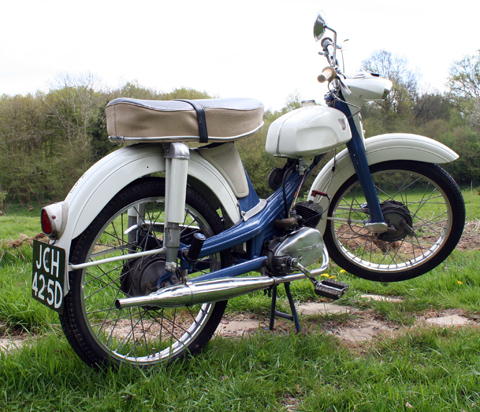 With the excellent engineering of the Quickly moped providing a quality machine that totally blew away its competitors when it was introduced – and easy spares availability should you ever need any – this must be one of the most practical 44-year-old vintage vehicles you could own. 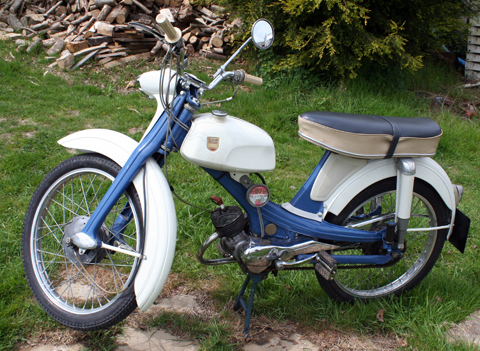 You can ride it on a car license, it’s easy to use and maintain, it has been well cared-for over the past 44 years, and will not only serve you well but is likely to become a ‘family pet’ and a talking-point wherever you go. 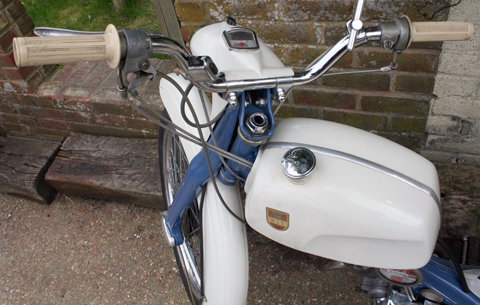 The advantage of a later Quickly such as this is a 3-speed gearbox and a more solid centre stand. 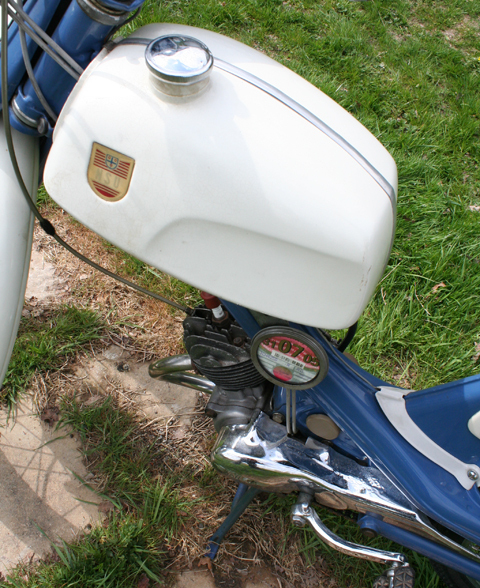 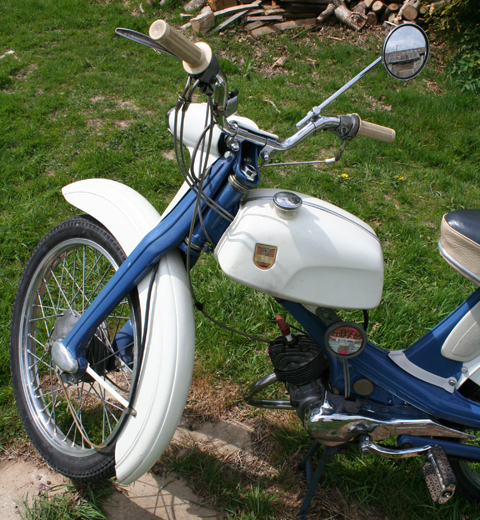 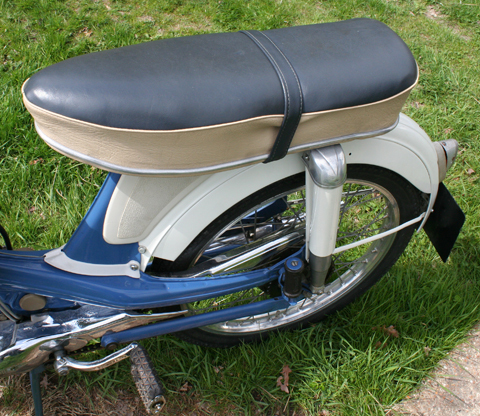 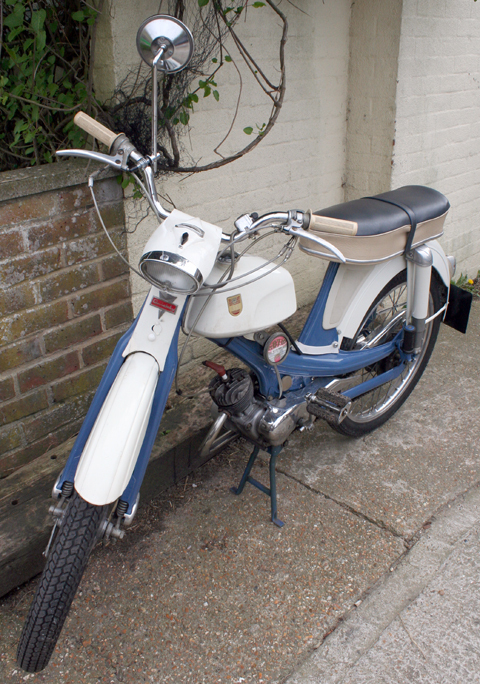 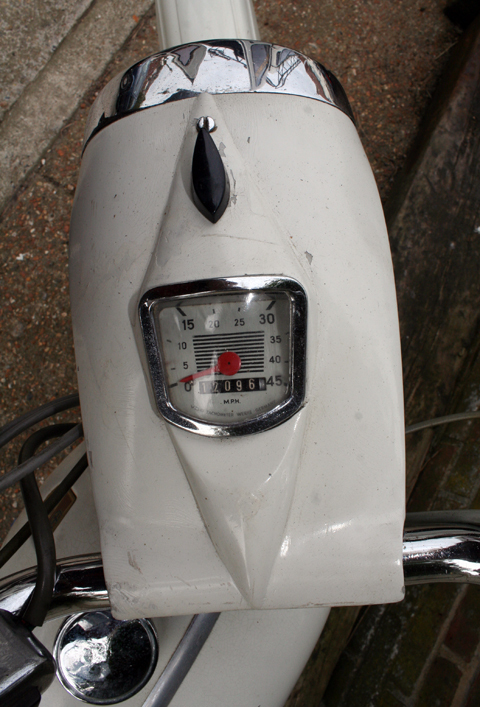 To my mind, a 1960s Quickly is the most practical vintage moped to own if you want to use it regularly. 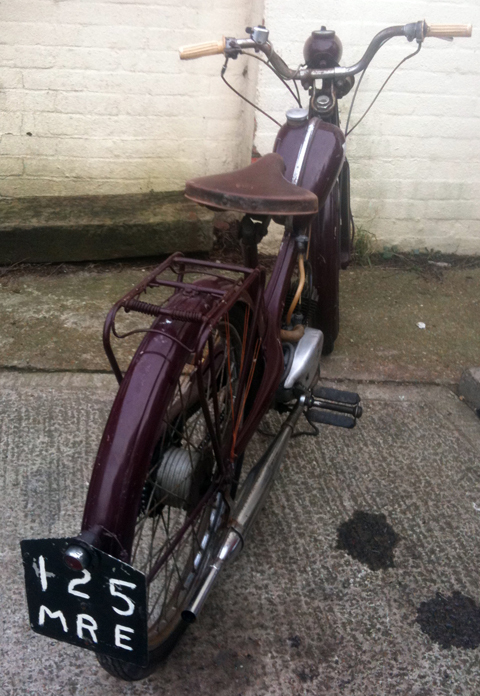 I’m keen to encourage new owners of vintage cyclemotors and mopeds. 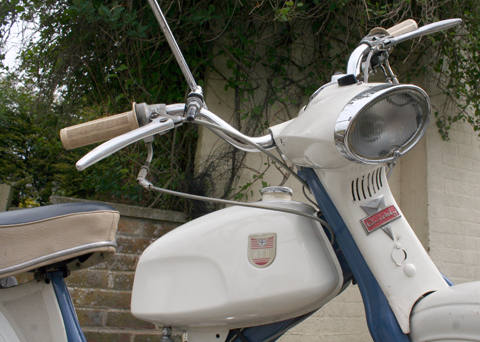 Most of us are of similar vintage to our machines, so younger enthusiasts are particularly welcome. 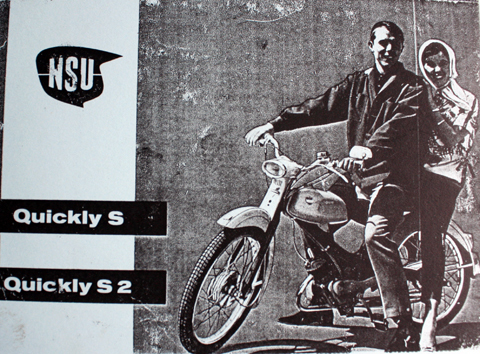 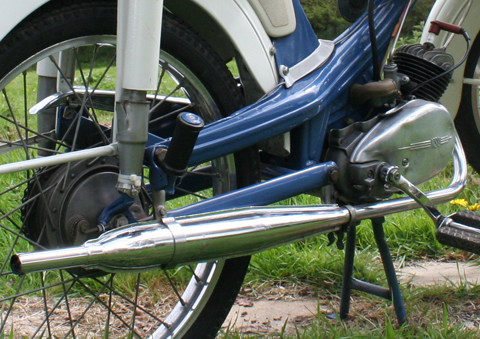 By 1966, the Quickly had been refined into a 3-Speed machine, which made it one of the most practical two-strokes on the market, and the only one that could compete with the new Japanese models that eventually decimated the European motorcycle manufacturers. 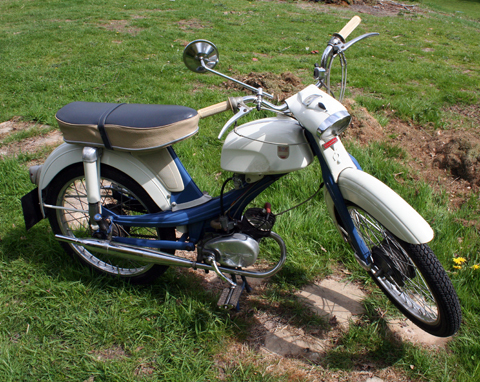 I like to try and re-create as much as possible the way we might feel buying this type of vehicle when it was new. 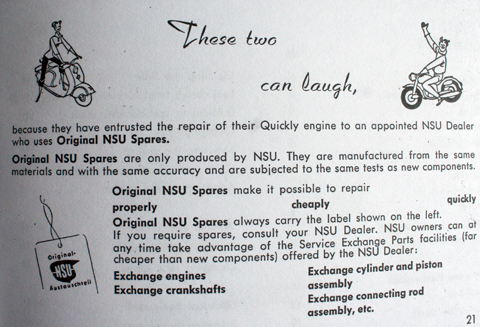 So the website is like a ‘showroom.’ And included in the sale are copies of the maintenance manual, spare parts list, owner’s handbook (extracts pictured here), some old taxdiscs, as well as the MOT certificate (expires April 2011) and the V5C registration document. 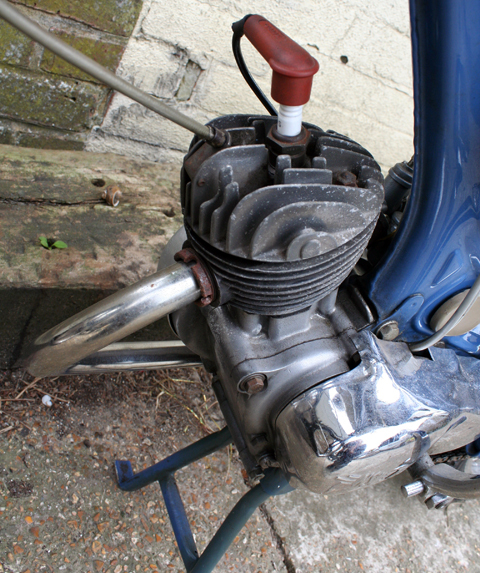 I think most vintage cyclemotor enthusiasts know how I operate by now. 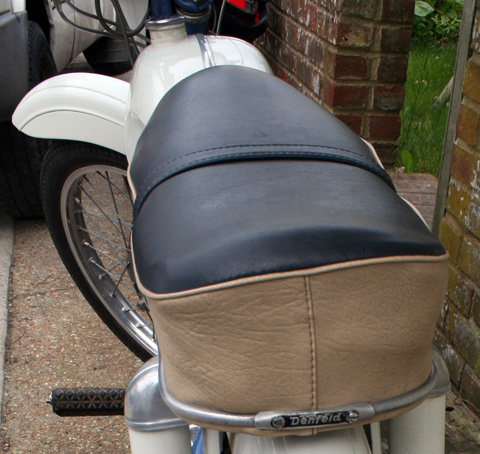 and cheap delivery around the country (£40 or £50 part-load). 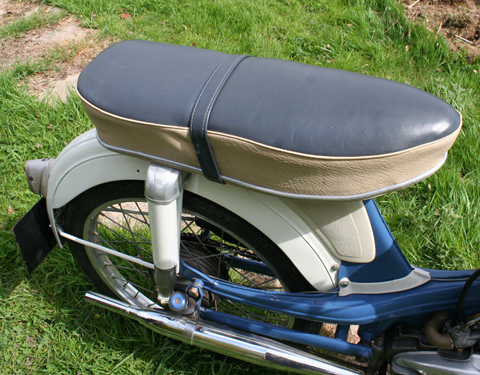 And I can recommend a competitive insurance company to make it easy to insure.